Regular Price: MSRP: MSRP is Manufacturer's Suggested Retail Price or the selling price that the manufacturer recommends for its products. One Time Offer One Time Offers represent special one-time purchases where MidwayUSA has negotiated a reduced price and then passed the savings on to the Customer. One Time Offers have limited quantities available and usually once they are sold out, they are not offered again. Quantity Limit of 0 Due to high demand and our desire to serve as many Customers as possible, we are currently limiting the quantity that each individual Customer may order. The Bone Bracket Mount features a strong arm and plate mounting option for smaller skull capped trophies such as deer and antelope species. It offers rotational adjustments up or down and angle adjustments left or right to achieve the optimum display of your trophy. The Bone Bracket can be assembled and hung in just a few minutes. 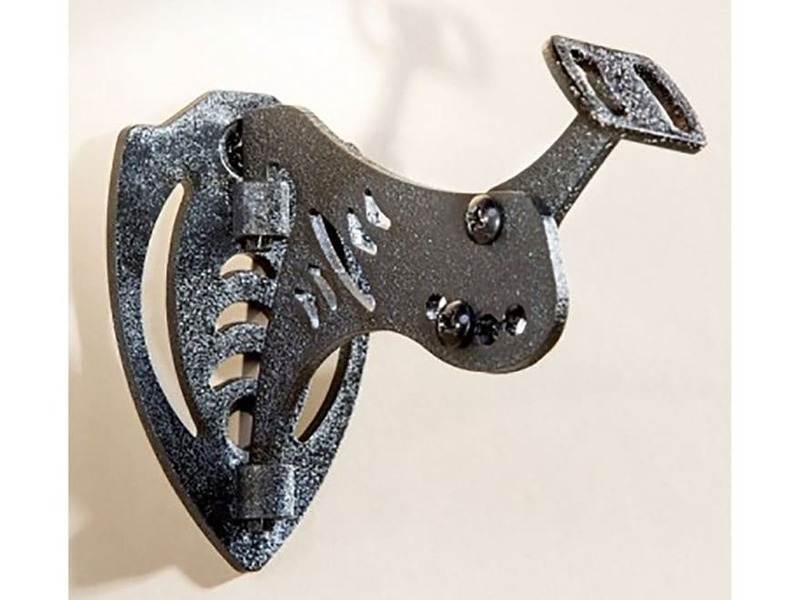 Simply mount the wall plaque to the a wall stud with the supplied screws, attach the skull plate adjuster to the arm, locate and drill two holes in the skull cap, and install two screws to attach the skull cap to the skull plate adjuster. Then just insert the tapered arm pegs into the wall plaque canisters, and make any final adjustments to the trophy positioning for the perfect display. Carrier Restrictions Product is restricted by shipping carriers and cannot be shipped to certain locations or via certain shipping methods. Product Reviews are not compatible with your browser.